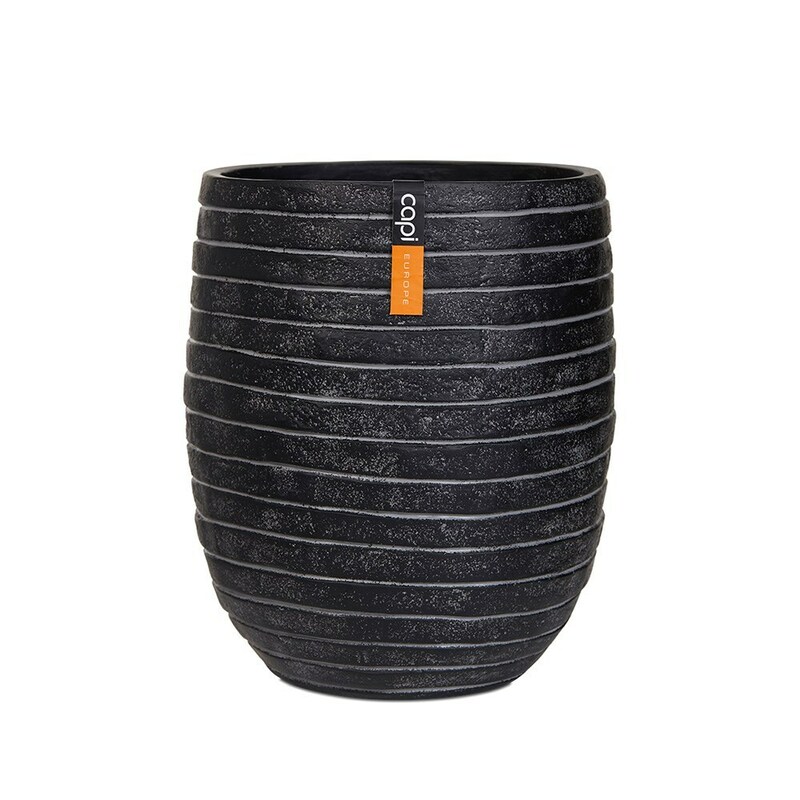 Elegant lightweight vase planter in black with horizontal ribbing, designed for indoor use. With a rugged design inspired by natural sand drifts, these unique pots will turn any houseplant into a striking focal point. Part of the Nature Row collection from Cadix. UV stable and frost-resistant. Supplied with a 3-year manufacturer’s warranty.